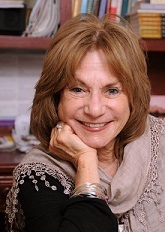 Acknowledging Your Pain To Heal – Judith Ruskay Rabinor, Phd. In order to move on, you have to let yourself feel the loss and grief of divorce. “Befriending your ex is a process and a relationship that takes time and effort,” says Judith Ruskay Rabinor, Ph.D., a psychologist and author of, Befriending Your Ex After Divorce. “It’s about starting over and making a conscious, effort to let go of past hurts, wounds, and beliefs.” In addition to talking things out with a therapist or loved one, Dr. Rabinor recommends listing in a journal the many losses you’re facing. (Think: loss of financial support, loss of a partner to lean on, loss of your ex’s extended family). Naming your losses helps you process the pain by understanding all of its parts more clearly, says Dr. Rabinor.